As a university student, Alissa recognized that she really wanted to work with people. So she went into recruiting, joining VIA Technical fresh out of college in 2014. In her role at VIA, Alissa loves that she can interact with and help new people all the time. She also loves how every day brings an opportunity to learn about yet another emerging technology or framework. She thrives in the collaborative team culture at VIA where fresh ideas emerge constantly. 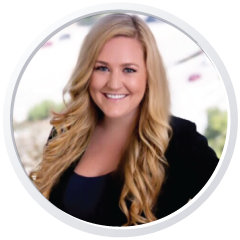 All in all, VIA’s dynamic environment and the opportunity to make a difference for clients and candidates in San Diego are a perfect fit for Alissa. Being an active and discerning listener to really understand the needs and wants of clients. A passionate singer/song writer/guitarist, Alissa’s been a musician her whole life. She loves the creative writing process. She also enjoys traveling and exploring different cultures. Costa Brava in Pacific Beach. She loves the ambience and flamenco dancing! Success isn’t just about what you accomplish in life; it’s what you inspire others to do.